Today I am grateful for the scent and perfume of flowers and plants. I marvel at the range of smells that I enjoy as I walk through the garden at all times of day. Walking past the rose bed I smell the sweet fragrance of Alyssum, also much-loved by the bees, the delicate smell of my roses, the Frangipani tree that fills the spring evenings with its oriental notes and the strong aroma the lovely Star Jasmine delights us with during balmy summer evenings. I love the hint of citrus I get as I water the Lemon and Lime, the smell of Lavender on an early morning walk, and the incredible range of smells that permeates the air around the herb planter, including basil and mint and a strong curry flavour. For these and the myriad of other perfumes I smell at any hour, I am grateful. Photo: Jasminum polyanthum – a gorgeous, fast growing creeper I recently covered two trellises with in the rose bed. 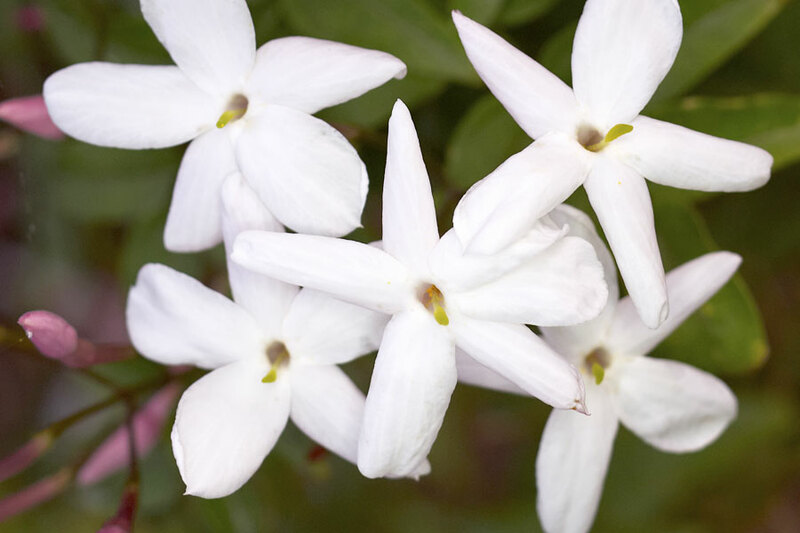 It has a strong jasmine scent which I love and I love how quickly it started climbing up the trellises after planting. 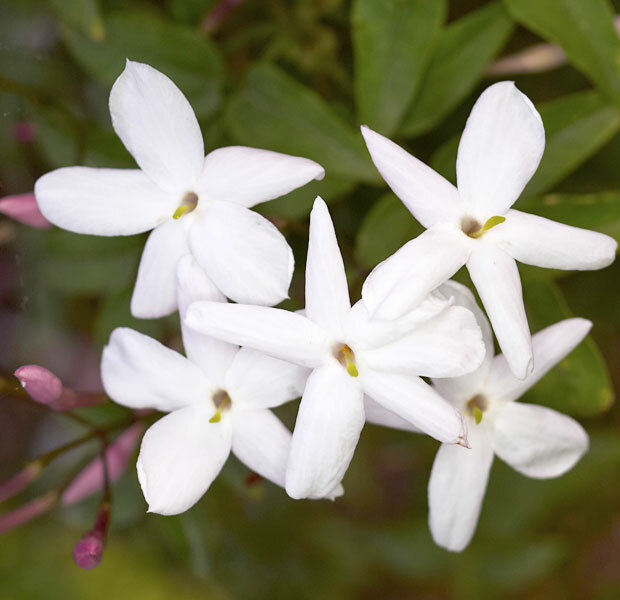 Jasminum Polyanthum: In late winter and early spring, this Jasmine is covered in bunches of white flowers, which open from pink-tinted buds. Jasminum polyanthum is an evergreen vigorous climber that looks good throughout the year. Tt can reach over 3m (10ft) tall. Cat of The Whimsical Gardener, has invited Garden Bloggers the world over to join her in the 30 day challenge of posting a photograph and sentiment that you are thankful for – every day for 30 days. Find something you are thankful for every day, for 30 days, can’t be too difficult, can it? See all Barbie and my posts filed under “30 Day Challenge“. Oh yes – lavender and basil!! What a dull world without beautiful fragrances! The fragrance is just another layer to the complexities of the gifts of the garden. Yesterday I came across a ginger plant in bloom and it was intoxicating! I even like the smell of the leaves decaying in a wet wooded area. It’s so earthy. Thanks for the inspiration to think of these things. Yum! Yes Christine, Roses and Lilies without fragrance is like roast beef and tatties without yorkshire pudding, and haggis without the neeps.